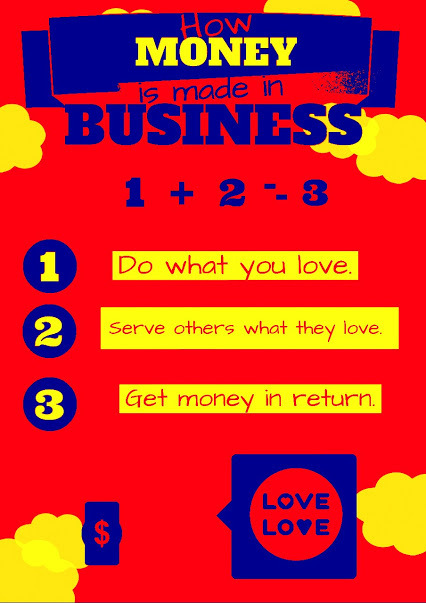 Making money in business is quite simple. You do what you love, help others in the process and trust me the money will come!!! Posted in Youth Stars TipsTagged Abundance, bread, cake, dough, dreams, Education, goals, growth, happiness, happy, inspirational, inspire, joy, knowledge, learn, learning, Life, love, love money, money, Motivate, motivational, Peace, positive, Prosperity, spiritual, youthBookmark the permalink.